The Nintendo Switch eShop just got easier to use with the 5.1.0 firmware update. The Nintendo Switch eShop just got easier to use with the 5.1.0 firmware update. 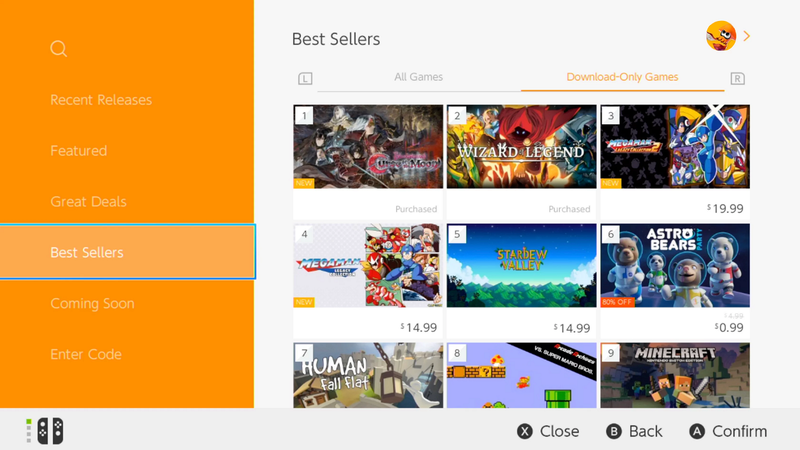 The Best Sellers page now lists 30 games instead of just 20 with an additional option for download-only games. It’s also now possible to click on developers’ names to find other games they’ve made. Now if only there was voice chat.